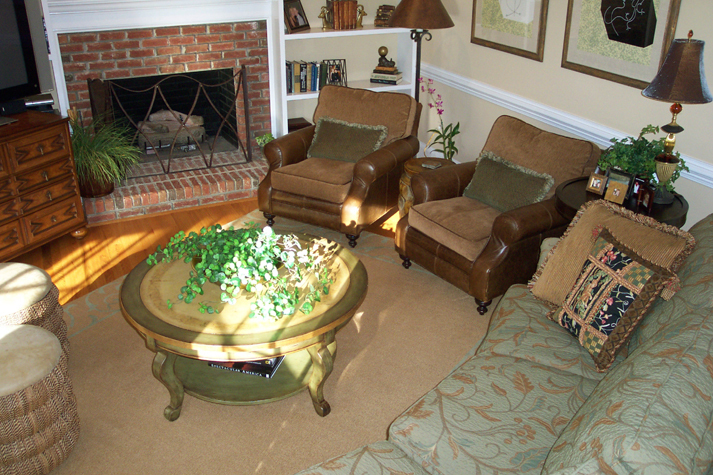 The challenge in this space was to gracefully integrate multiple functions into a tiny room. The solution is in the circular floor plan, which includes all the family functions: fireplace, television and conversation. The plan also promotes a cozy feeling without crowding.